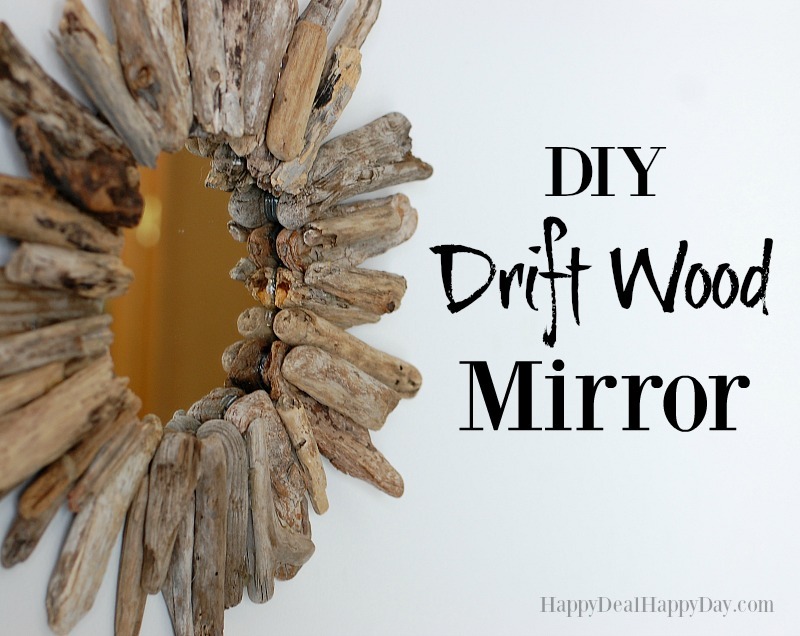 Driftwood Crafts | DIY Drift Wood Mirrors | Happy Deal - Happy Day! 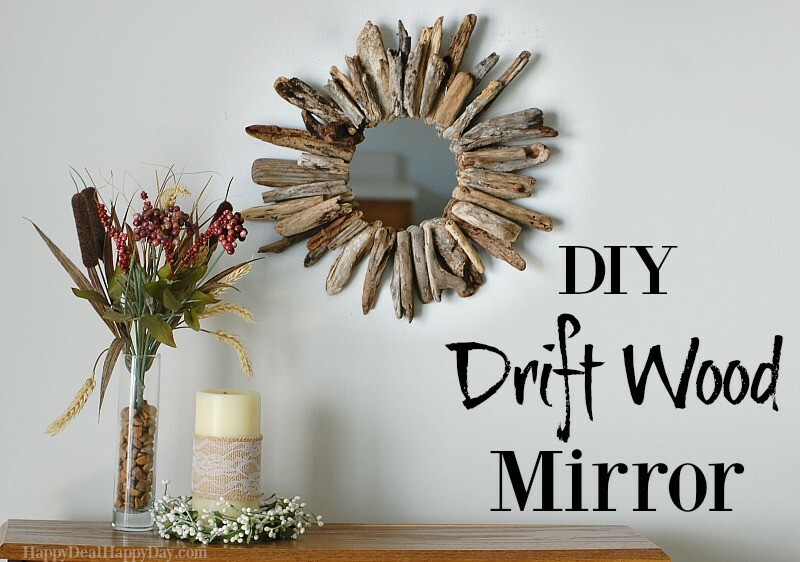 I started off by finding a bowl that was 6.5″ in diameter – a bit smaller compared to the 9″ round mirror I had (which were left over from my wedding decor from almost a decade ago!) I traced the bowl and cut out the circle. 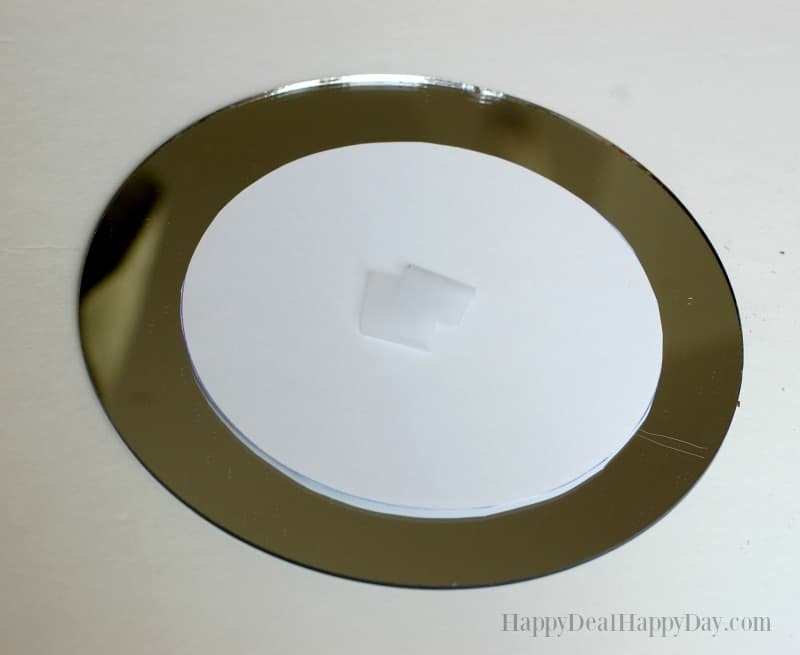 I used one piece of tape and lightly pressed it onto the mirror so that it would stay in place. 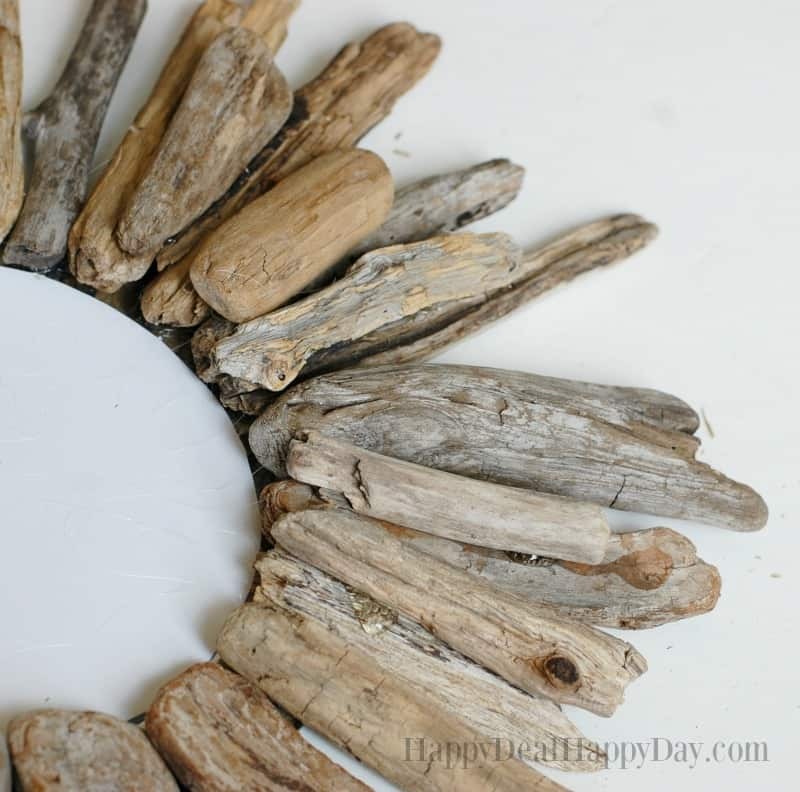 This paper circle now serves as a border that I can use to know where to glue the drift wood so that it will make an even circle. This paper will be removed later on. Next I got out my drift wood and laid it out into one layer to get a general idea of how I wanted it to look before I started gluing. 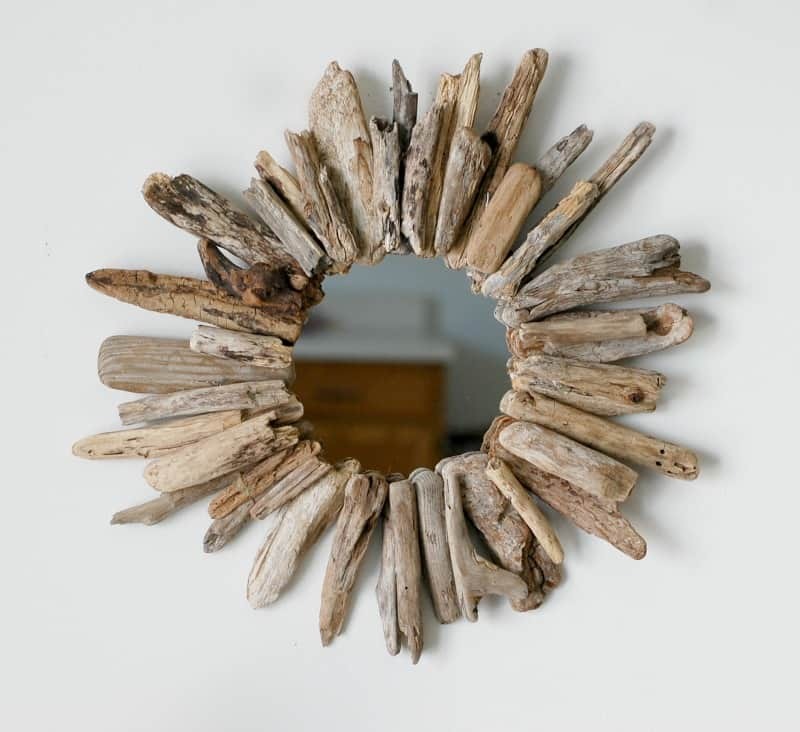 When I was satisfied with the placement of the drift wood, then I got my hot glue gun out and started attaching each piece. Here it is after one layer. 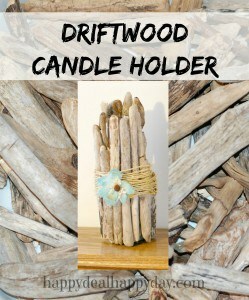 I wasn’t satisfied with how it came out and decided it needed a second layer of shorter drift wood to make it more full. So then I laid out a second layer of shorter pieces and glued them on. After you are done gluing and let it cool for a bit, you will need to clean up the “hot glue spider webs” that are always left behind. Remove the paper circle that was used as an outline. 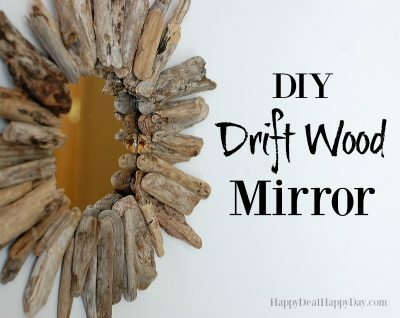 After that, you have the complete drift wood mirror! I also attached some twine on the back to hang it up. This isn’t a very heavy frame, so I wasn’t too concerned about what kind of hardware to use to hang it. If yours is heavier, then you will need some hanging wire and stronger hardware. 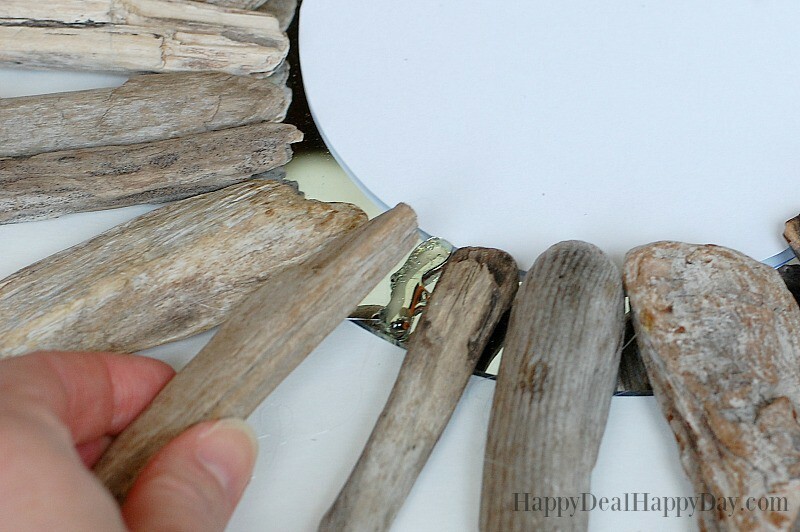 Find all of my craft ideas over here! 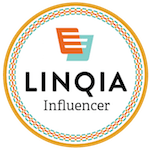 ← Amazon: Utopia Bedding 3-Piece Twin Bed Sheet Set for $12.74 – Normally $42.99! 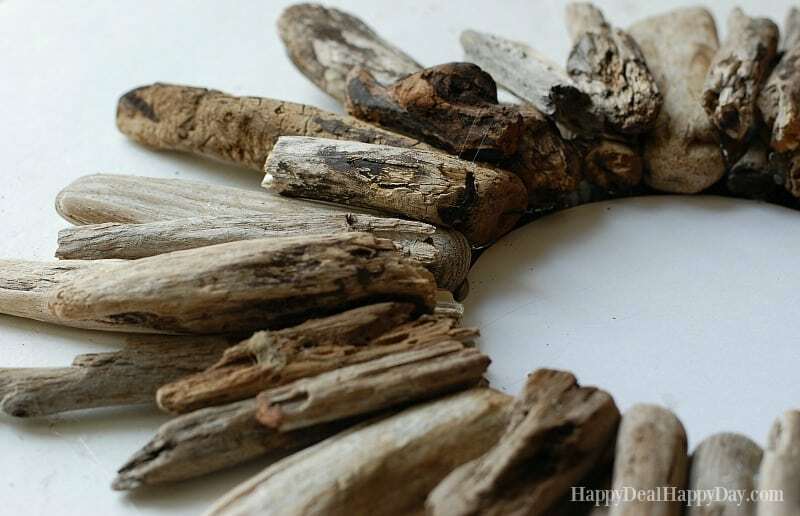 Oh my gosh I love drift wood! What a great idea! So cute. I love all the DIY projects. I saw on Nicole & Jionni’s House Swap and saw some DIY home projects she did and they came out neat! I love this mirror. It is easy to make and so stylish. 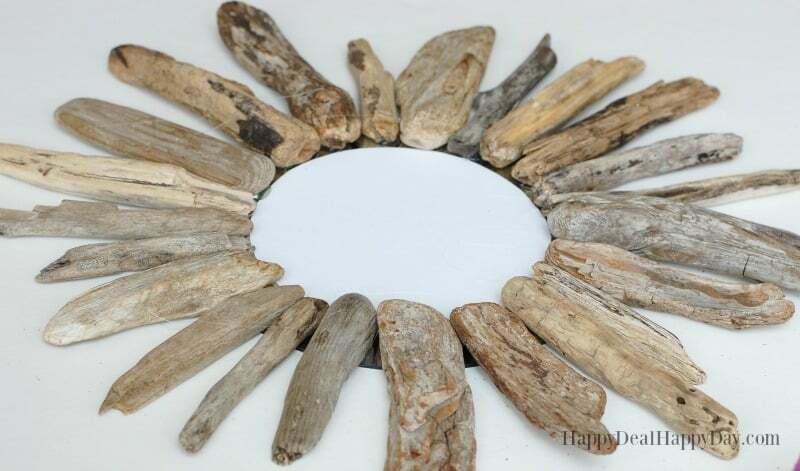 Your mirror looks great! 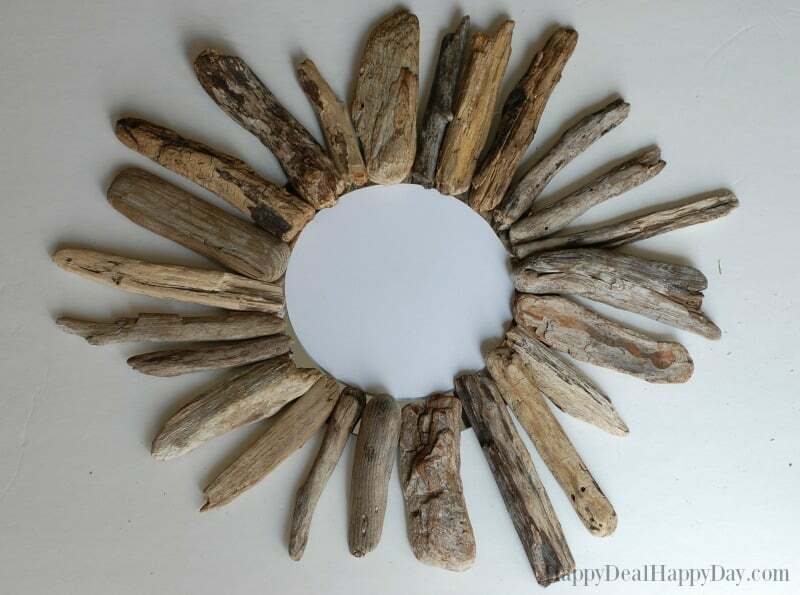 What a fun way to use driftwood. 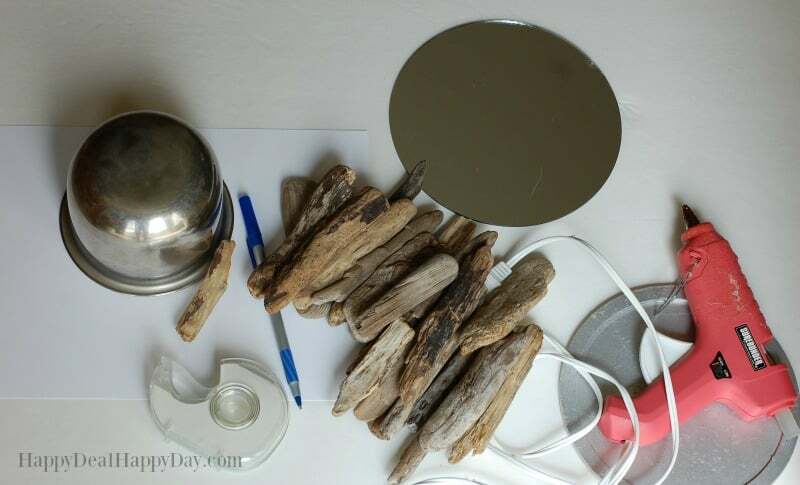 Thank you for sharing at Merry Monday; I’m going to be featuring your mirror next week. Hope you’ll come by and link up again!